We’ve searched high and low to find the very best inbound marketing campaigns of 2016. If you’re not quite sure about how inbound marketing can benefit your company, just take a look at these examples. Some of them are from major brands you’ll almost certainly have heard of; others come from marketers for smaller companies you probably won’t have. But all of them definitely understand how and why to use inbound marketing! Chances are, you’ve seen one of these cute cooking videos over the past few months. Kings of click-bait Buzzfeed managed to translate their magic formula for articles to cooking videos, which show all the steps of quick recipes in under a minute. It’s been such a big hit that about a quarter of Facebook’s active users see at least one of the videos each month, and has racked up over 50 million likes. One of the big not-so secret elements of their success is that they’ve made the content really simple and show it step-by-step. If you’re creating how-to content, remember to break it down and make it easy for people to follow along. Newsletters can be a tricky thing to do right, especially because everybody’s inboxes are increasingly saturated these days. To get people to open your newsletter, you’ve got to be sending out something that’s worth reading. The CEO of CB Insights, which is a tech market intelligence company, added a very simple but effective touch to his newsletter by making it more conversational — not something you might expect from a company that specialises in poring over millions of data points for fun. That’s partly why the newsletter has been a big success in the tech industry, with around 200,000 subscribers. The information is serious and reliable, but the e-mails include subject lines like “Truth: startups are like kindergarten”. They do say “Imitation is the sincerest form of flattery”, though we wouldn’t recommend straight-up copying this technique directly. Instead, have a go at establishing your own brand voice in your inbound marketing materials like newsletters. No matter the subject or sector, it really doesn’t have to be dry and formal. Using live streaming to show off your product is a really smart move. Christine Dwyer, a fitness trainer, has used Facebook Live to demonstrate that she knows what she’s talking about when it comes to getting and staying in shape. She does video streams of her classes on the social media network, and she gets high engagement on them. It’s the perfect way to advertise her classes and get people inspired to try them for themselves. What could you live stream? Whether you work with Facebook Live or an app like Periscope, there are ways you can show your customers or fans just how fantastic your product is. A nice infographic can be a fantastic tool to have a successful inbound marketing campaign. Having attractive visuals is so important online, and there are are lots of chances to grab people’s attention on social media with great graphics (hello, Pinterest!). Home Depot may not be the first brand you think of when it comes to gardening, but their garden department does solid business. And gardening, specifically food gardening, just so happens to be growing in popularity amongst millennials. 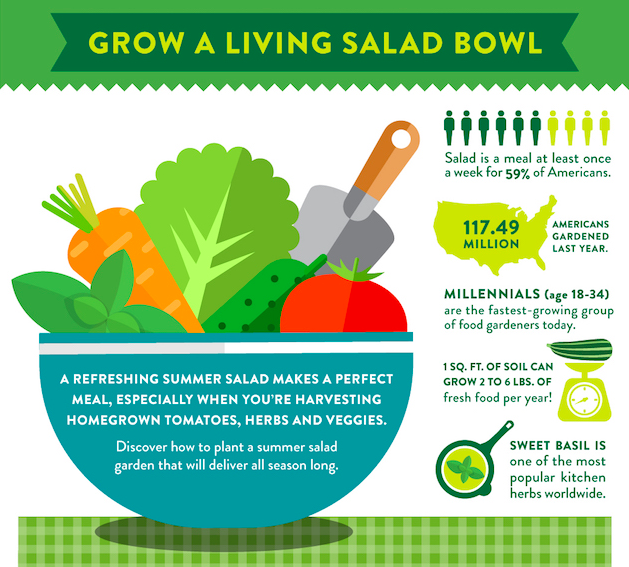 That’s why it makes perfect sense for them to make an informative infographic about how to grow your own salad ingredients to share on social media – another thing that’s pretty popular amongst millennials. The lesson here is to think about different aspects of your brand, rather than just one thing. Can you pick up viewers from a new niche? Even better, can you find a niche that’s growing in popularity? If so, you’ve got the ingredients for a brilliant infographic. 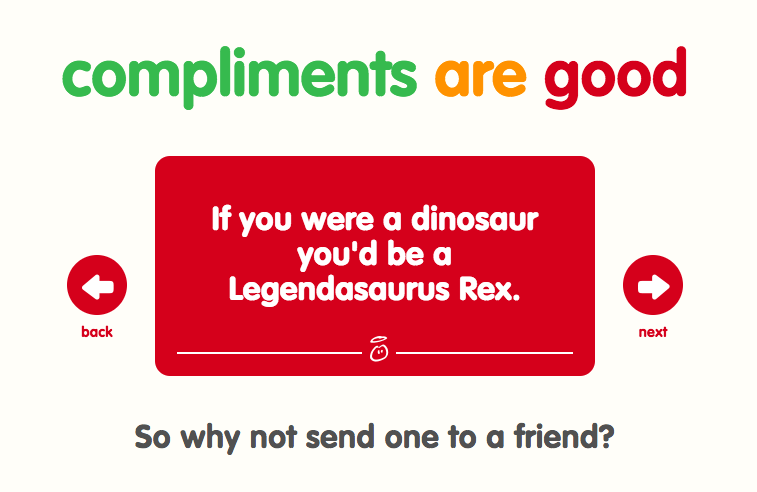 They’ve also got an odd compliment generator, which told me “If we were marooned on an island, I’d be very sad when I had to eat you.” Likewise? Anyway, the main point is that Innocent does an excellent job of using a consistent tone both online and offline. They’ve got a well-defined brand, and they stick to it. Just because inbound marketing is a bit different than what you might traditionally think of as marketing doesn’t mean you have to reinvent the wheel here. Gone are the days of writing any old junk, throwing in a few keywords and sitting back and waiting for the traffic to roll in. These days, you have to go the extra mile. Even if you don’t have a major social media star on hand to help you generate a piece like this, you can make sure you’re working with people who know what they’re doing. Don’t post things online just to post. One of the basics of inbound marketing is to provide people with valuable or interesting content. While native advertising may not fascinate everybody, this in-depth article by LinkedIn was absolutely valuable content for people looking to understand the relatively new form of advertising. Chances are, this post attracted a lot of people who weren’t looking for information about LinkedIn at all. For your own business, take the time to think about what sort of content people might find useful that will also align with your brand and product. Can you come up with an interesting article? We bet you can! We already said that native advertising might not be everyone’s cup of tea earlier. 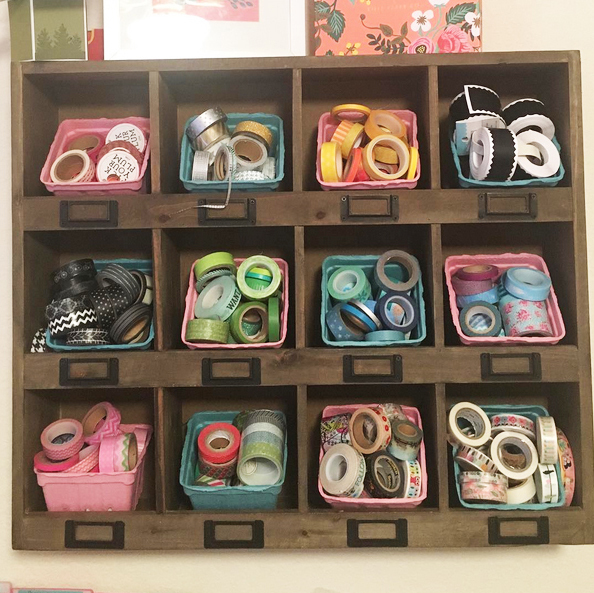 That goes double – if not triple or quadruple – for washi tape storage options! This article posted on the Michaels blog is directed at a very niche audience, which is exactly why it works. You probably don’t have a whole lot of competition for people writing about washi tape storage options online. (Although we did Google it and there are more articles that you’d think). Anyway, it speaks directly to a group of people we are willing to bet spend a pretty penny at craft stores; i.e. people who have enough rolls of washi tape to be thinking about where to put it all. Let’s take it back to your brand. Who are your extremely loyal customers who come back time and time again? Even if there aren’t as many of them, an inbound marketing campaign that speaks directly to that small, dedicated group can be very valuable. This campaign was based around the idea of the average number of days a human has to live (25,915, if you’re curious). The video showed a woman at all different ages doing different running-related activities. At the end, a baby is shown and viewers are shown a website they can go to where they can calculate their own number of days they probably have left to live. It’s a bit of a grim concept, but Reebok managed to make it an inspirational call to getting active and honouring your body. This is a classic example of doing something different from the crowd to stand out. Usually, campaigns have a much more upbeat message, but this one worked anyway. If getting a newsletter right is hard, then getting Snapchat done right is even tougher. Though the offbeat social media network might be best known for a tool for sending your most ridiculous selfies, there is actually a ton of room here for brands to market themselves. 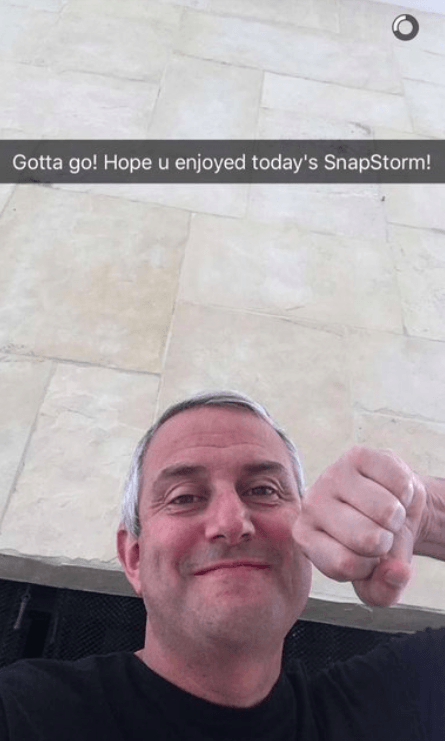 Venture capitalist Mark Suster of Upfront Ventures knows exactly how to work it, and share serious content that’s also interesting (if you’re into venture capitalism, that is). He shares little lectures and diagrams about things startups might be curious about or need to know.